I have found a new favourite place in London; The Good Life Eatery. I know, I know – I am painfully slow to jump on the band wagon. I have seen all the tweets, articles and instagrams of varying celebrities visiting this place over the past year or so, so I finally got round to trying it out. Tanya had been raving about this place to me, so we popped along together so I could see what all the fuss was about. You know how healthy I try to be and at the same time I love food with a passion? Well this place is literally that. Healthy yet absolutely delicious. 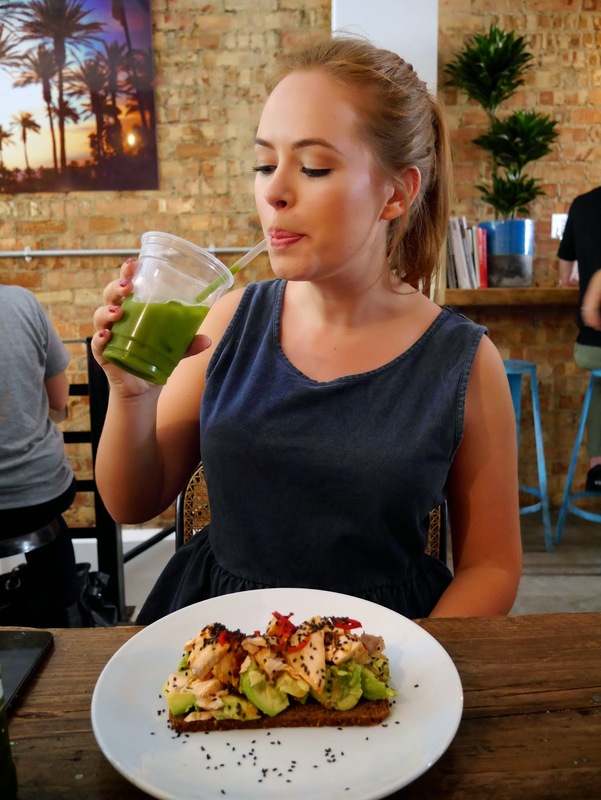 The food is everything I would make myself at home (but tastier and more adventurous) and the juices are similar to the ones I make in my blender (but, again, tastier and more adventurous)! 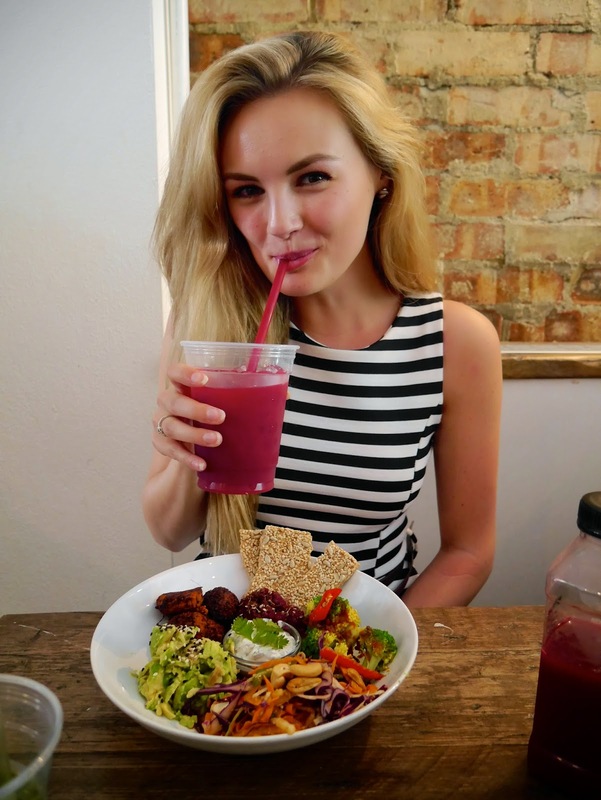 I am trying out being vegan (nearly 3 weeks in and still going strong), and there were so many options to choose from, which seems like a rarity from what I have experienced as far as London restaurants go. There are plenty of other options too that include salmon and chicken, so don’t be put off! The interior is small with wooden tables and chairs tightly packed creating a laid back, casual atmosphere. 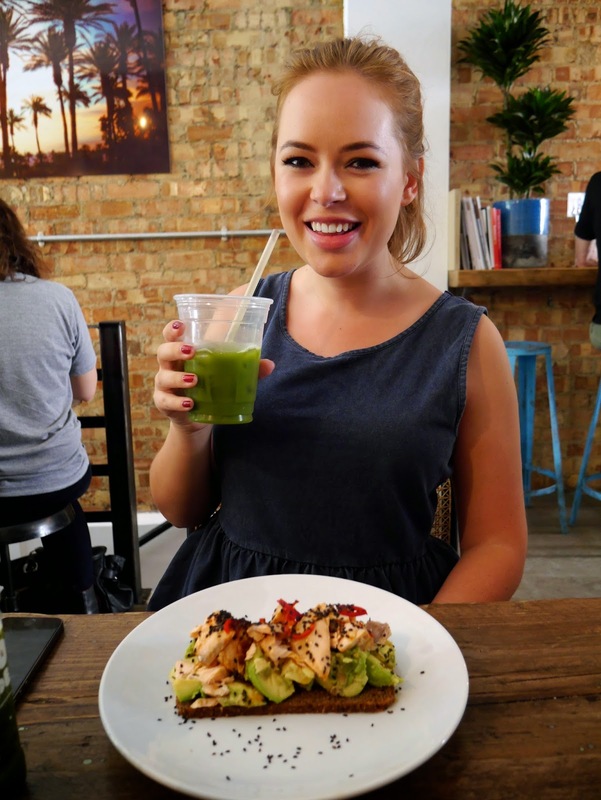 Just be prepared to queue outside to get a table; being one of the only healthy food eateries in London you can imagine how popular this place is! 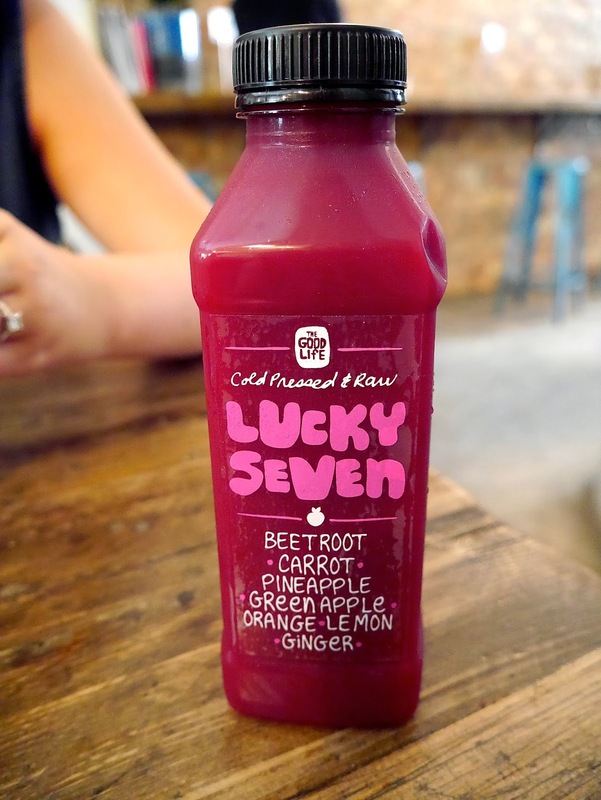 We each ordered a cold-pressed juice while we waited for our food, which were to die for. Why don’t my juices taste this good at home?! 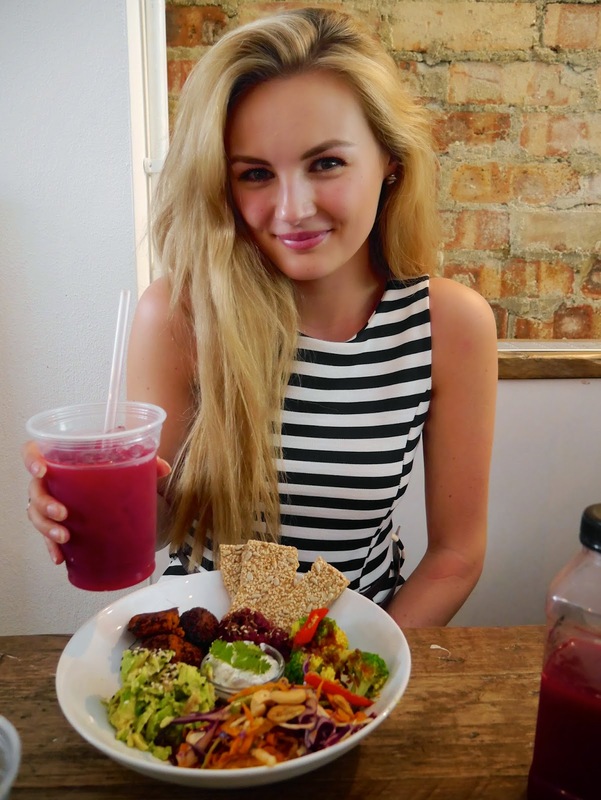 Then for food – I ordered the Goodness Bowl, which I would happily eat every day! I can’t remember exactly what was in there but I would highly recommend it if you visit. My only wish is that I’d left some space for the cake that we spotted on our way out! I guess that’s just an excuse to visit again soon.